As craftsmen and –women, we love the chance to talk with and support other craftspeople. 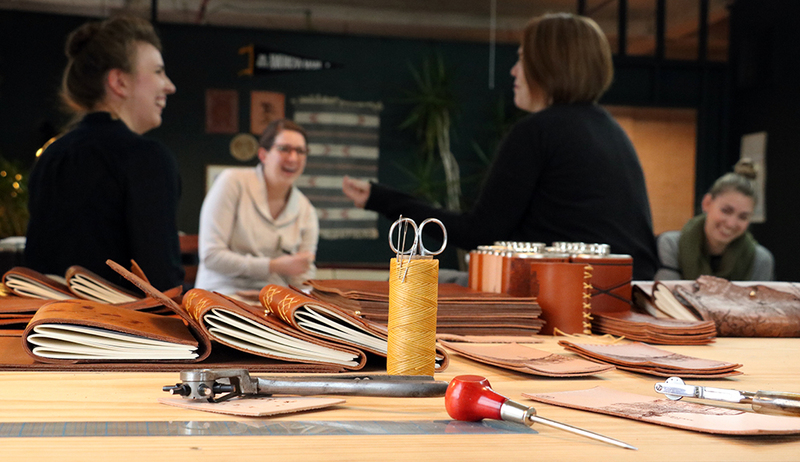 Meet Anna and Sarah of Tactile Craftworks, an artisan leather working shop in Milwaukee, Wis. Their made-to-order leather goods are gorgeous and embody a sense of adventure. 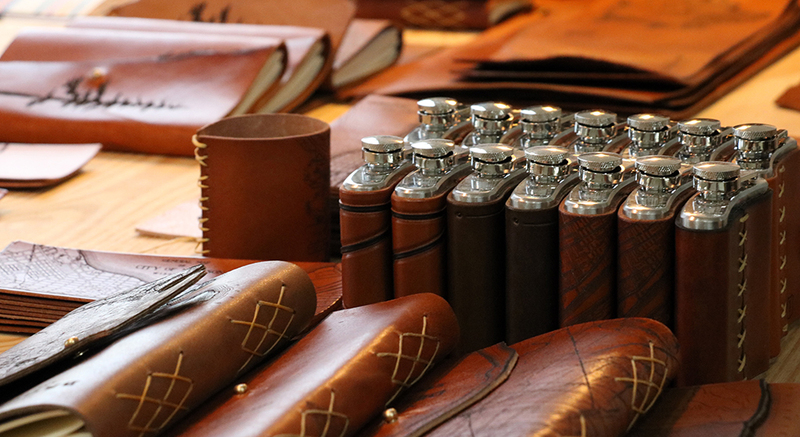 Here’s how they turned their passion for leather into a successful artisanal business. Sarah: "Anna and I met when we were hired on the same day to work at the Milwaukee Rep prop shop. Our tables were right next to each other and we worked there for six years." "We started doing craft fairs, and separately we would make different things. I would do journals and Anna would do these really sweet embroidered goods and screen printed stuff, and then we started making things together. We started screen printing on journals and were somewhat successful. We had a good time doing it, and did a few fairs where we were selling things but not making it together." 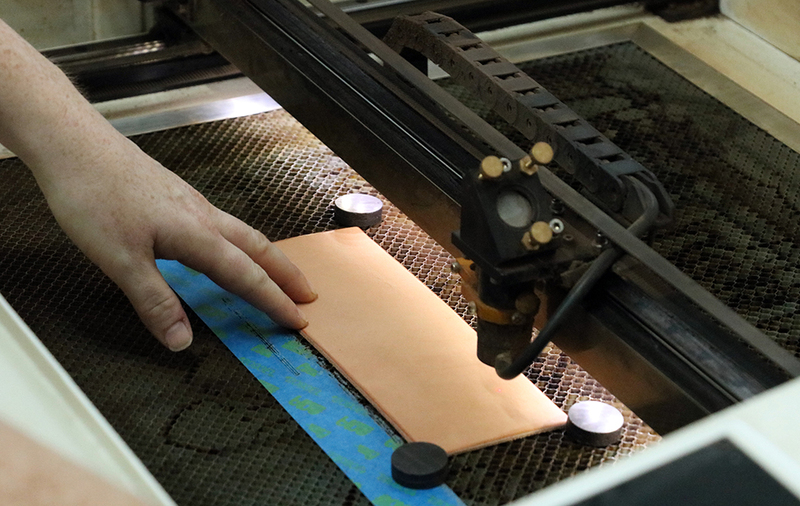 How was Tactile Craftworks born? Sarah: "We were at Discovery World to meet with people who work in their design labs to learn from each other. We were looking at the laser cutters and one of the employees offhandedly mentioned that they’d tried laser etching on some leather recently. And we were like, “what? !” Because we’d been playing with leather working off and on. Within weeks we were prototyping stuff." Anna: "That was really the ‘eureka’ moment. Within an hour we had all these big plans to try. We were getting to a point where we were enjoying the craft as a hobby but we knew that if we wanted to do this as a business, something would have to happen so that we could scale it up. That just happened to come at the perfect time. It was just serendipity." How did laser engraving change your craft? 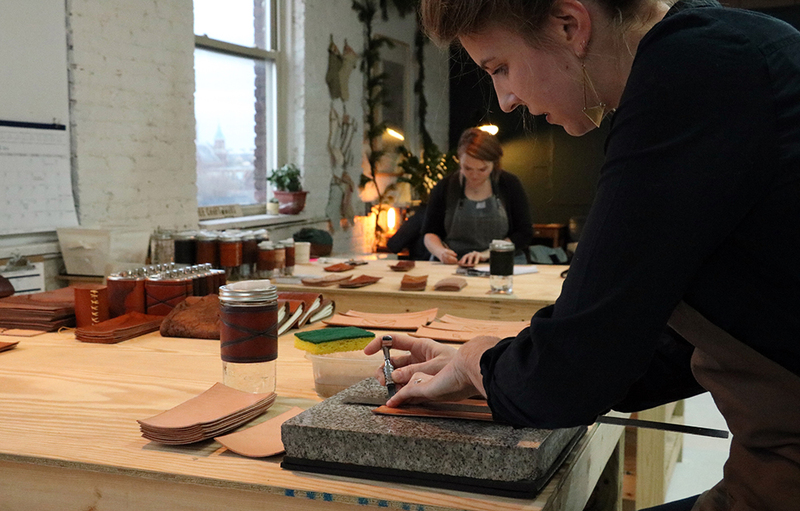 Anna: "Before, the work we were doing was the more traditional leather tooling with knives and stamps and mallets. It’s beautiful, but it’s not something that really scales. We really wanted to keep something of the old craftsmanship, so every piece we make has something handmade about it. 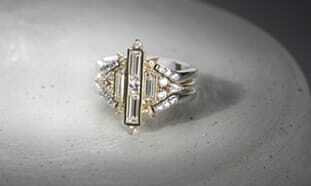 It’s all hand punched and hand stitched, hand dyed and hand beveled. We still put our hands on everything." Did you ever imagine that this would be your job? Anna: "We had this hilariously huge dream that we were going to have this craft shop/cafe that was everything we liked and there would be like, a tattoo parlor in there and then the circus actors would come!" "But it just kind of grew out of the hobby. It grew really organically. It started as a hobby, and we liked working together. We realized early on that we collaborated really well together. And that was just something that we wanted to capitalize on." 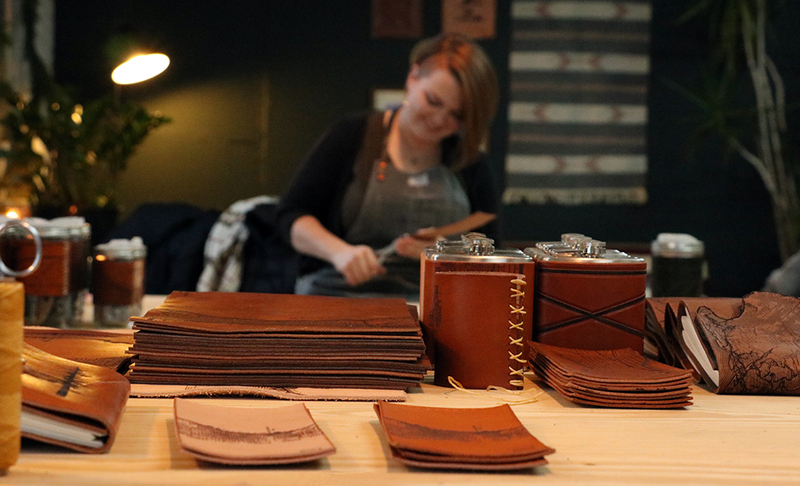 Sarah: "If I had said to my 14-year-old self that you’re going to have a studio where you’re going to do leatherworking with your best friend and your dog, I would have high-fived myself!" Anna: "I don’t think we really believed it would be realistic, and definitely not this soon." What kind of advice would you give to other aspiring craftspeople, particularly women? Anna: "Don’t be afraid to ask for help. People have been incredibly supportive, because all small businesses have been at the beginning at some point. So don’t be afraid to ask questions. Don’t be afraid to let go of ideas that aren’t working. And trust your gut." Sarah: "Yeah, trust your instincts. Start before you’re ready, because we never, ever feel ready. It is a lot of trying a lot of things and getting rid of a lot of stuff. We have had to not pursue things that we think would be spectacular just because they’re not viable or there’s no interest besides ourselves." What are your favorite pieces to work on? Sarah: "In general, I tend to focus on the journals and the flasks. And Anna focuses on the mugs and clutches, mostly because Anna is a wizard at stitching mugs and I’ve been making the journals forever." "I really like doing the carving. So maybe the carved flasks, but I also really like book binding and the tree journals. There’s something I’m really partial to about those right now." Anna: "I like making the mugs best. I think they’re so cool. The hand tooled ones are my favorite, but I like the map ones too. Out of those my favorite is always going to be the Milwaukee one because it’s home. My house is on it!" 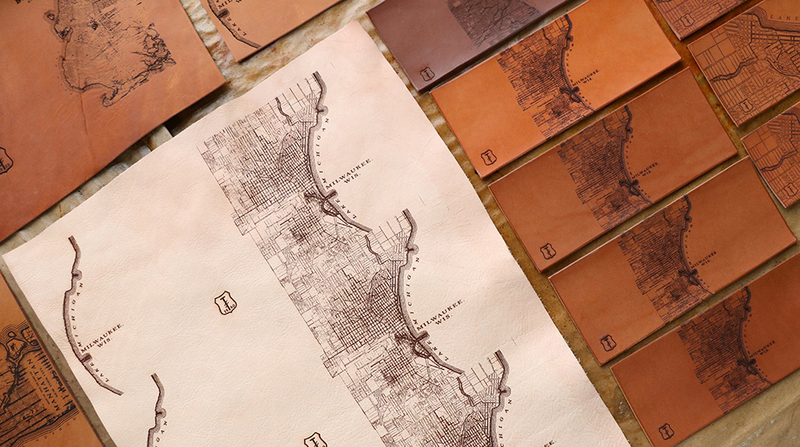 Sarah: "We started with the Milwaukee map and did the Chicago one second. 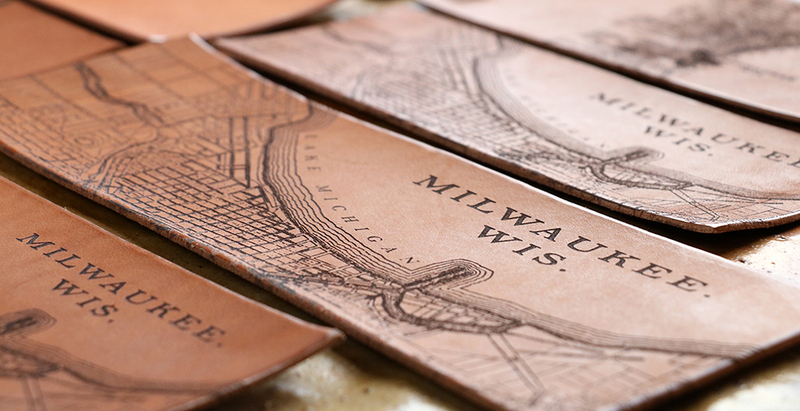 The original Milwaukee map is from 1880. The original Chicago map is from 1894. It’s a Rand McNally map that has a special place in my heart because my grandfather worked for Rand McNally for 40 years, so it’s been kind of a cool thing to use those maps whenever we can." Want to learn more about Tactile Craftworks?